THE search is on for Boro’s best bakers to create cake sculptures of the town’s landmarks. The best designs will be placed on a giant edible map as part of the town’s first ever Cake Fest. The baking extravaganza is the latest event celebrating the re-opening of Middlesbrough Town Hall after its £7.7 million Arts Council England and Heritage Lottery Fund-supported makeover. But the ravenous get to admire and then devour a Newport Bridge sponge cake, a mima madeira or a Riverside Stadium roulade, someone has to bake the cakes. “That’s where the public come in,” says Simon Preston, presenter of BBC Kitchen Café and creator of Cake Fest. “Cake Fest is all about the joy of baking and celebrating this amazing town! “Whether you’re a seasoned cake-maker or you’ve never picked up a wooden spoon in your life, we’re looking for people with a sense of adventure to help us create a giant edible map of Middlesbrough. “You can bake on your own, with friends, colleagues or even as a company. Cake Fest is open to everyone and entirely free to enter, so if applying some creativity to cakes sounds like fun, then this is the perfect opportunity to hone those skills. Would-be bakers are asked to visit www.cakefestmiddlesbrough.co.uk and reserve a landmark. “There are over 50 landmarks already available on the website, from Acklam Hall to Waterloo Road Mosque and everything in between.” said Rob Guest, Business Development Manager of Middlesbrough Town Hall. “ So, get online and reserve yours before someone beats you to it! “Then simply start planning your bake, Simon will be offering advice and tips on social media. The grand unveiling of Cake Fest Middlesbrough will take place on Sunday, July 1 in Centre Square outside Middlesbrough Town Hall. 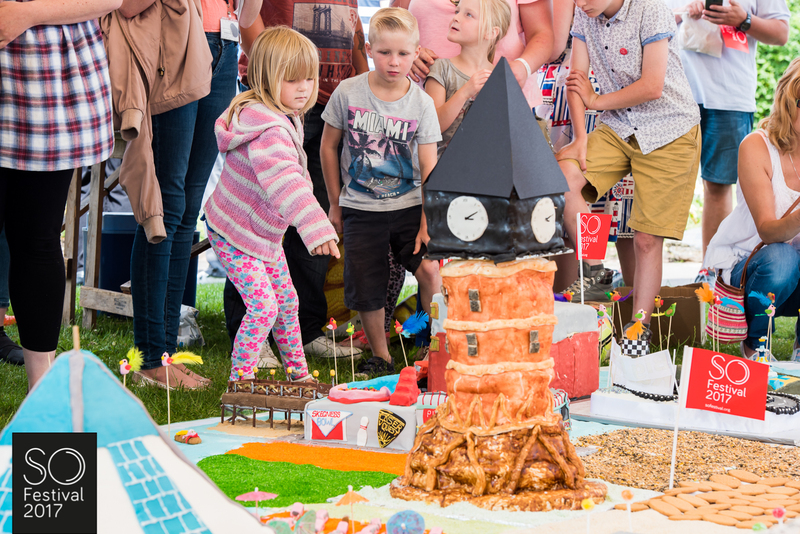 The fully edible landscape will be modelled under cover, and the plan is for bakers to arrive throughout the day, carefully transporting their creations to add to the delicious Middlesbrough masterpiece. Once the map has been completed, and people have had the chance to marvel at it, the cake buildings will be sliced up and shared with visitors to Cake Fest. Bringing a little funk to the festivities will be Back Chat Brass, who have quickly established themselves as one of the UK’s leading street bands since bursting onto the scene in 2016. Covering everything from Beyoncé and Bieber to Hall and Oates, they will be performing two sets on top of the Big Brass Bus to keep everyone entertained as the culinary map takes shape. And if you’re not content with just listening to the music, there will also be an opportunity to get a little more hands on. The Back Chat boys will be hosting a free one-hour workshop in the Town Hall Crypt. So, if you’ve ever fancied playing the trombone or trumpet, or even being a member of a street band, this is your chance – simply visit the Town Hall website to find out how to get involved. There’s also a chance to get your creation featured in print as the Gazette will choose its Favourite Five creations, the winning bakers will be featured in the newspaper, on the website and who knows, maybe even catch the eye of Mary Berry! Cake Fest is just one part of Middlesbrough Town Hall’s brand-new food offering, with the hugely popular and well-loved Orange Pip Market looking to take up a more permanent residence in the Town Hall café. Commercial Events and Sales Manager Keren Pearson said: “We are working with Orange Pip to develop the Orange Pip Kitchen. “It will be a place that supports independent restaurants, foodies, cooks and chefs, and in a unique twist, we’ll present our Chefs in Residence programme. Middlesbrough Town Hall reopened on Tuesday 1 May to a sold-out auditorium there to see the Bruckner Linz Orchestra and later this month, Southpaw Dance known for their original, lively and audience pleasing performances, will perform Erimus, which takes its inspiration from Middlesbrough town’s motto, We Shall Be. The late bank holiday weekend will see five performances of the piece, which promises to be an event to remember, as the dancers will move around the Town Hall and will comprise hundreds of local volunteers! It is entirely free of charge to attend and tickets can be booked on the Middlesbrough Town Hall website. * For more information regarding media usage, ownership and rights please contact Crystallised.